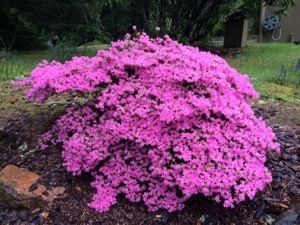 This Spring has brought brilliant colors to our home! I have never seen so many blooms! I am not a “pink” person. However, this plant takes my breath away everyday!